CCTV design and manufacturing company, 360 Vision Technology, has launched a revolutionary Radar version of their high-performance Predator High Definition ruggedised PTZ camera. An integrated radar controlled, auto tracking and following camera with the power to automatically detect and continually track targets, Predator Radar provides the ultimate in surveillance camera performance. 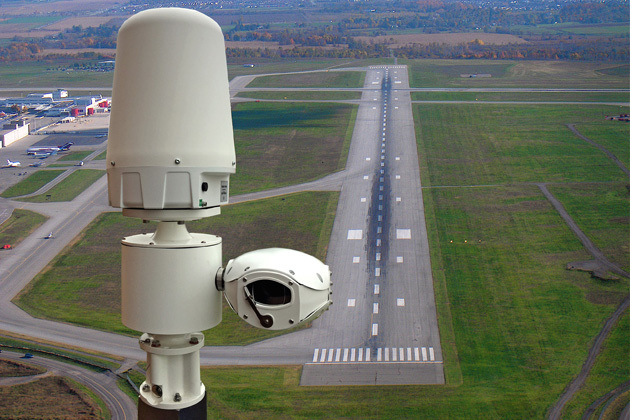 Designed for short to medium range applications where the detection of objects or individuals is of paramount importance, such as within fenced and unfenced site perimeters, and sterile zones at prisons, borders, airports or military applications, Predator Radar can track up to 40 targets simultaneously up to a range of 400m radius. Intelligent Time Share alarm handling also ensures that multi-object alarms can be handled proportionally or by priority. Using industry leading and World Class radar technology, the stand-alone Predator Radar scans 360 degrees twice every second, to detect and track objects, whilst alarms are overlaid on screen. The unit’s advanced radar detection is unaffected by weather conditions, so detection and alarm functionality continues even in adverse weather conditions such as rain, fog or snow. Predator Radar is available with 30x zoom lens in 1080P HD 0.013Lux scene illumination, HD Night Vision 720P 0.008Lux, and HD Night Vision Ultra 1080P 0.008Lux variants, and with built-in edge recording options providing 128GB or 256GB of on-board storage space. Optimised for simple and fast installation with minimal set-up, Predator Radar’s integral camera and radar unit construction is totally self-contained, meaning no servers or software are required for commissioning.